Schrader announces the release of the new dual band 315 & 433 MHz EZ-Sensor (balck) with Wireless Auto-Locate (WAL). WAL is unique Schrader feature that allows the vehicles TPMS system to automatically locate and identify each TPMS sensor’s specific location. This allows users to avoid a relearn procedure after tire changes, tire repair, sensor replacements,seasonal tire changeovers , and wheel rotation. The new 433 MHz is the only patented sensor that can replicate the technology found in Schrader OEM sensors. 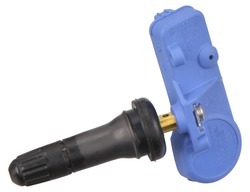 More EZ-Sensor Coverage: Increases coverage to 89% of all TPMS equipped vehicles. No Relearn Required: No need to preform a relearn after most service and repair scenarios like tire change, and rotation. Added Consumer Insights: OEMs use WAL technology to improve the range of TPMS informational benefits like specific pressure-by-positioning dashboard displays. 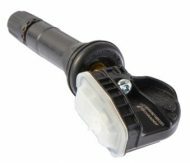 The new black #33500 EZ-Sensor increases the coverage to all WAL and non-WAL applications covered by the 433 and 315 MHz EZ-Sensor. Bartec® tools will require a software update! Check out our sizing guide to see what TPMS sensors fit your needs.